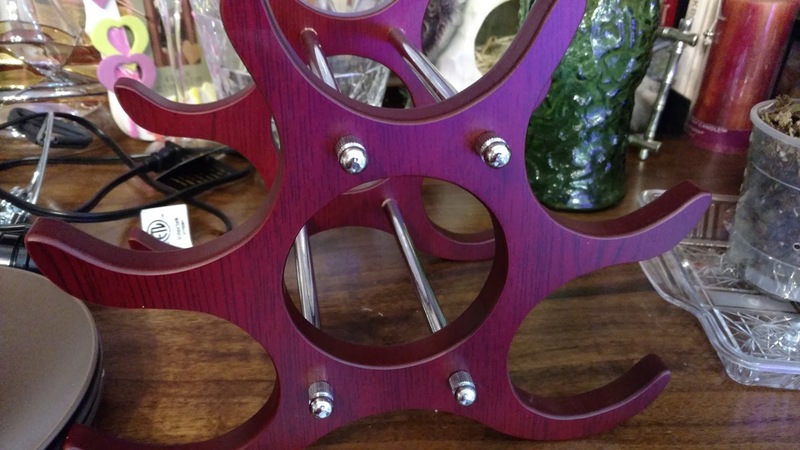 This wooden wine rack is very pretty and elegant. The cherry color in the wood is beautiful. It arrived unassembled and it was very easy to screw it together. It took me all of about five minutes and I used my fingers. I love that it is small and does not take a lot of space. Our old one was so huge, where this one will go nicely on a kitchen counter. PERFECT WINE BOTTLE HOLDER: Don’t anger the wine spirits by poorly storing your wines in kitchen cabinets or leaving them on your cold granite countertops! Any wine enthusiast would tell you that every bottle of wine deserves utmost storage care to preserve its taste and quality. Our wine rack is your best storage solution because you not only get to securely display your impressive wine collection, but you also get to keep them absolutely delicious for many years to come! FUNCTIONAL CONTEMPORARY DESIGN: Our durable Bella Vino wine rack is at par with more expensive wine racks when it comes to functionality and its stunning contemporary appearance that can complement any furniture and beautify your home, kitchen, wine cellar, wine bar, or anywhere you choose to display your wine collection. We give you a lavish classy feel at the most reasonable and affordable price – because luxury need not be expensive all the time. ACCOMMODATES VARIOUS BOTTLES: Our easy-to-assemble wine rack can also securely hold wine bottles of different sizes, from 750 ml. to 1.5 liters. You get the best storage space saver without compromising the aesthetics of your gorgeously elegant wine display! SAFE WINE STORAGE: The best way to maintain the good quality of your red wine, white wine, champagne, sparkling wine, and other wine and spirits is by preserving its ideal temperature. The cold from concrete walls, granite tabletops, and steel wine racks can affect wine temperature and alter its quality and taste. With our dependable wine rack, you can rest assured that the cold is kept out of your precious wine bottles! 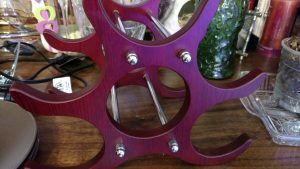 SATISFACTION GUARANTEED: Our Bella Vino Wine Rack comes with a 100% guarantee of durability, functionality, and style. However, if you find yourself not satisfied with our product, we will still give you a full refund. Just send our product back to us and we will give your money back – no questions asked! So click the “Add to Cart” now and display your wine collection in style! I received this item discounted or free in exchange for my feedback.